Venezuela's post-election crisis is growing deeper, with at least seven people killed during clashes between the opposition and police. President-elect Nicolas Maduro says he has proof that the US embassy is financing the ongoing protests. The fatalities include two people shot by opposition sympathizers while celebrating Maduro's victory, state media reported. One person died in an attack on a government-run clinic in a central state. Two others, including a policeman, were killed in an Andean border state, officials told Reuters. "The most serious thing is that in these violent actions, seven Venezuelans died," said Attorney General Luisa Ortega. She added that 135 people have been arrested in suspected connection with the violence. Meanwhile, Capriles has called Maduro's victory "illegitimate" and called on supporters to peacefully protest the results. 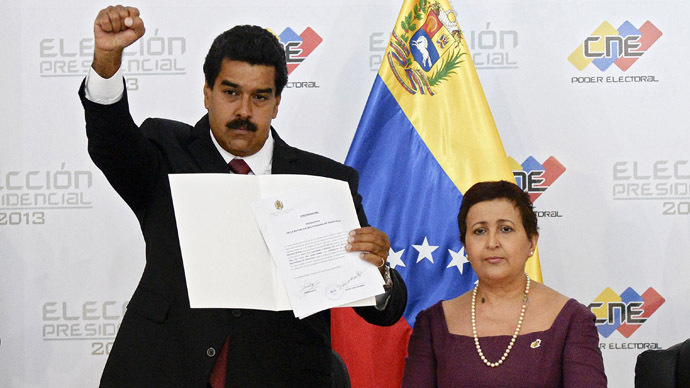 The Venezuelan election authority has refused to hold a recount, despite calls from the opposition. "In the case of Venezuela, there were 100 outside international observers clearly recognized as objective judges who observed the election process, observed the voting, and observed the counting. It's a misnomer to say that this was a questionable election," he told RT. Maduro said on Tuesday that he will not allow the opposition to hold a march in the center of Caracas planned for Wednesday, to demand a recount of votes following Sunday's election. "It's time for a tough hand," he said. 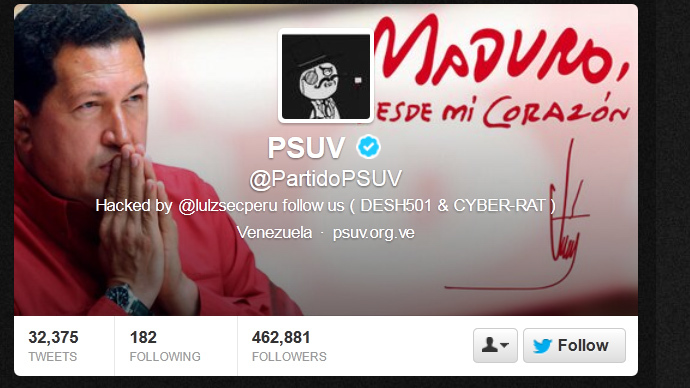 Maduro has spoken out against the opposition protests. "Where are the opposition politicians who believe in democracy? 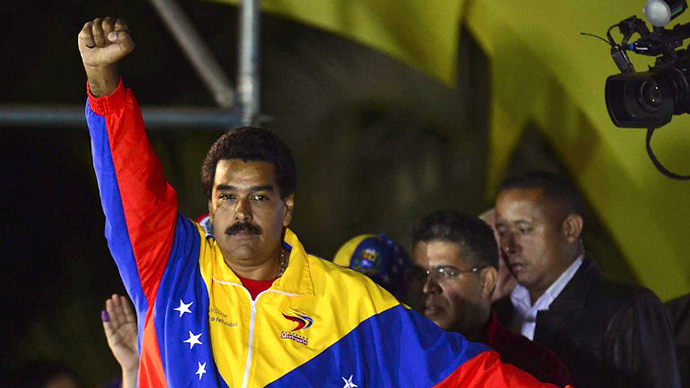 "Maduro said, blaming opposition candidate Henrique Capriles for the violence. His thoughts were echoed by Venezuelan Foreign Minister Elias Jaua. "Those who attempt to take with force what they could not acquire through elections are not democrats," he said. And Petras agrees. "I think [the opposition] is trying to sabotage the government. They're not engaging in a peaceful protest. They're not raising legitimate questions. What they're doing is essentially calling into question election procedures," he said. 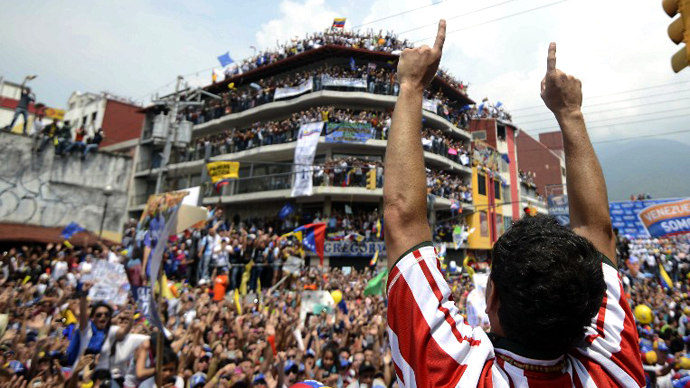 Sunday's election came after the death of Hugo Chavez last month. He named Maduro as his successor before he died. 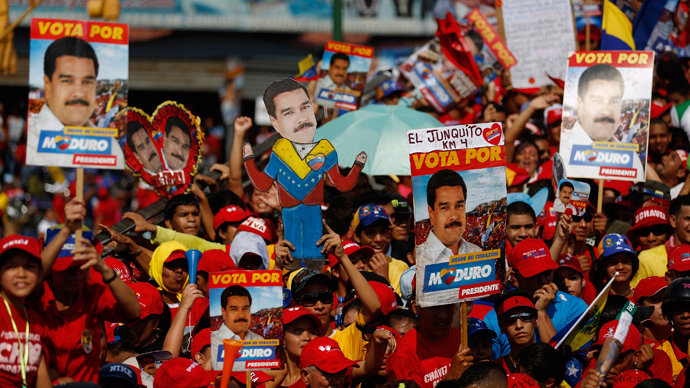 Maduro won the election with 50.8 per cent of the vote against Capriles' 49.0 per cent. 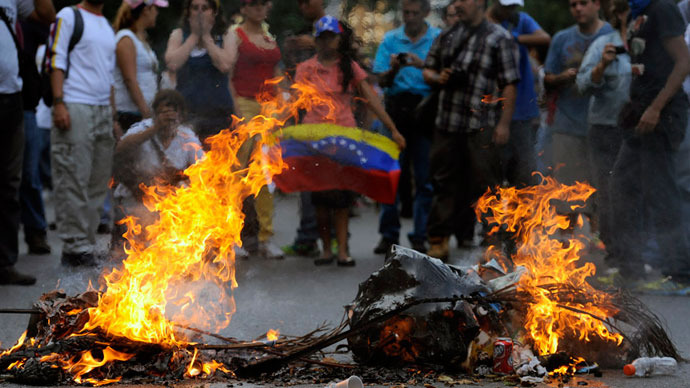 "Venezuela is the nexus point for the standing up of the global South. The organizations ALBA, UNASUR, various structures that are being put in place for economic independence of, first, Central and South America, and then recently moves to bridge to Africa and moves to work in conjunction with the BRICS nations. It’s an alternate economic structure, global in its potential nature, that the United States sees basically as a foundational threat," he told RT.